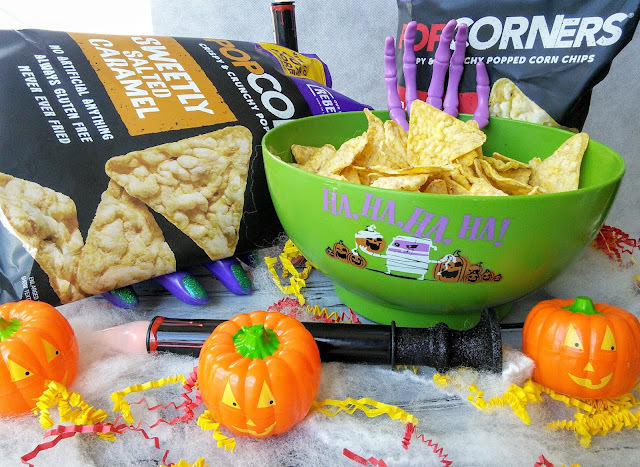 Looking for some better for you treats to enjoy on Halloween? 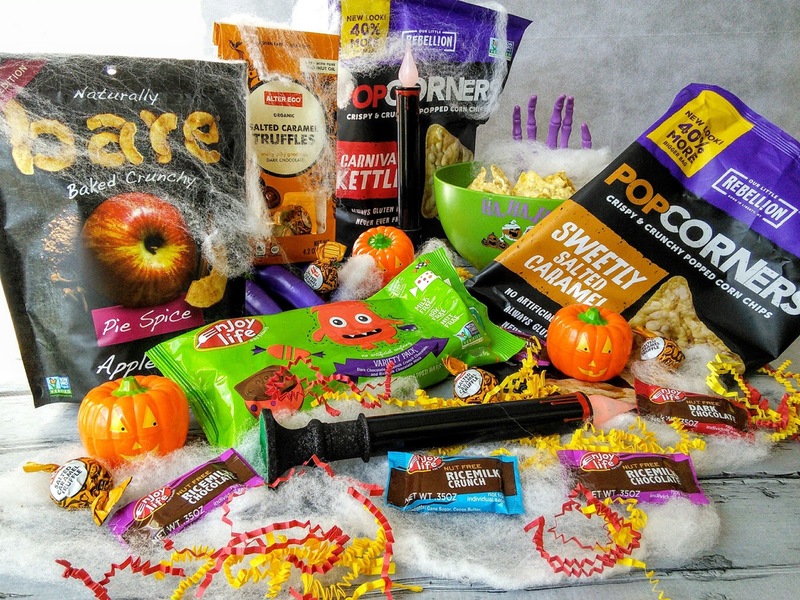 Eat drink and be scary this Halloween with goodies you will absolutely be batty about! 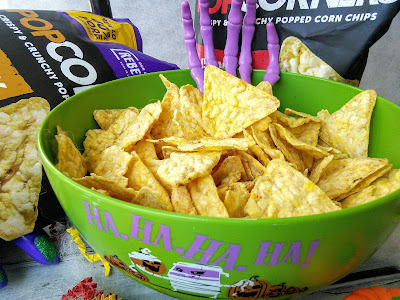 I have some wonderful suggestions of better for you treats and snacks that you can feel good about offering to the kids on Halloween. These delicious treats are made with ingredients that better quality and some are even organic and free of common allergens. 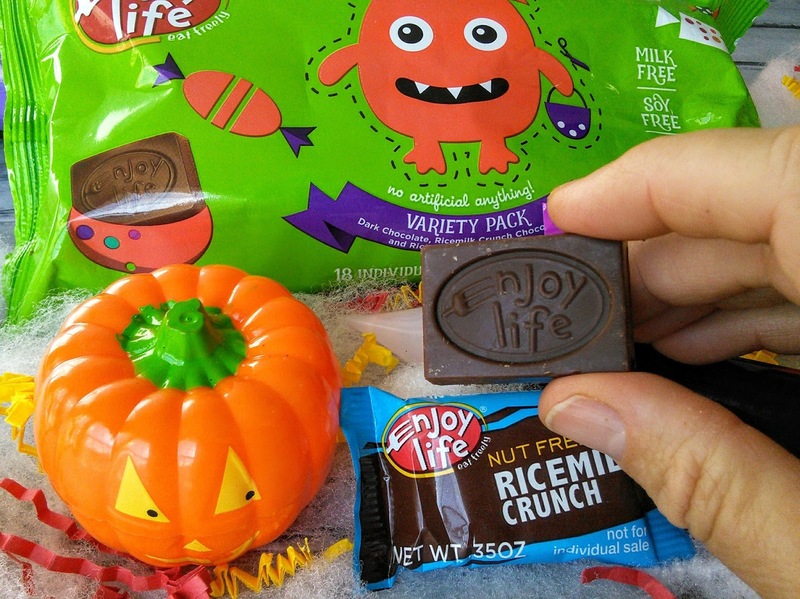 You don’t have to worry about kids with allergies when you hand out Enjoy life foods Halloween Minis. These delicious bite-size minis don’t contain the 8 most common allergens. No scary ingredients, just scary good chocolate. They are always free from Gluten, Wheat, Dairy, Peanut, Tree Nuts, Egg, Soy, Fish, Shellfish, Casein, Sesame, Sulfites, and Potato. My favorite spooky treat is Alter Eco Truffles. These perfectly poppable chocolate truffles are organic and fair-trade. You will love that are made with sustainably-harvested Ecuadorian and Peruvian cacao that’s expertly-finished by Swiss chocolatiers. These truffles are made with pure organic coconut oil and I just love that the truffle wrappers are completely compostable. 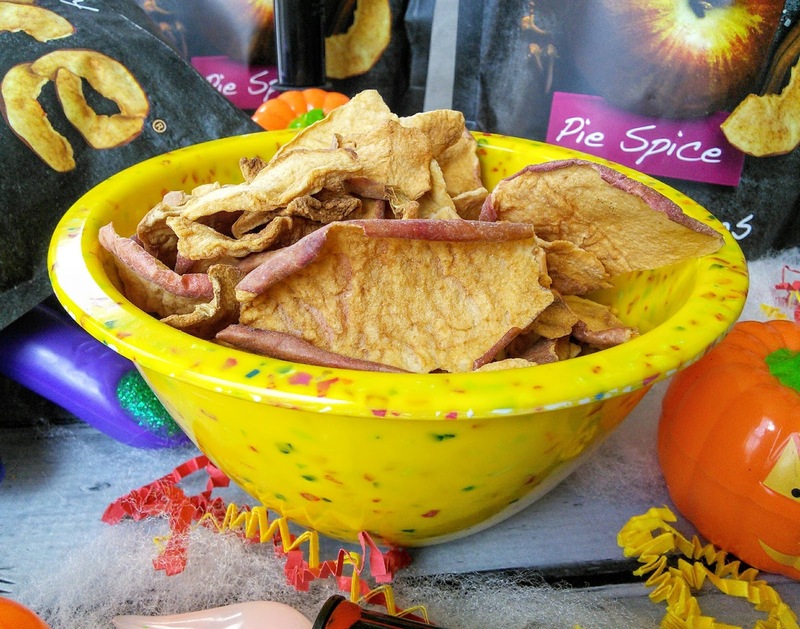 Bare Pie Spice Apple Chips are a healthier twist to traditional Halloween candy. This new flavor of Bare apple chips is a guilt-free indulgence that is made with real apples and a fragrant blend of cinnamon, allspice, cloves, and a dash of sea salt. Keep it salty and sweet with PopCorners Sweetly Salted Caramel. These caramel flavored popped corn chips are sure to satisfy those ghosts and goblins. It does not get better than caramel. These chips are smooth and sweet. You will love that they contain no gluten, no trans fat, and no GMO’s. A new take on a classic taste in just one bag. So which delightful treat will you enjoy on Halloween? I love enjoy life! Their products never disappoint! I need to see if I can find the other products you have on here though, they look good. 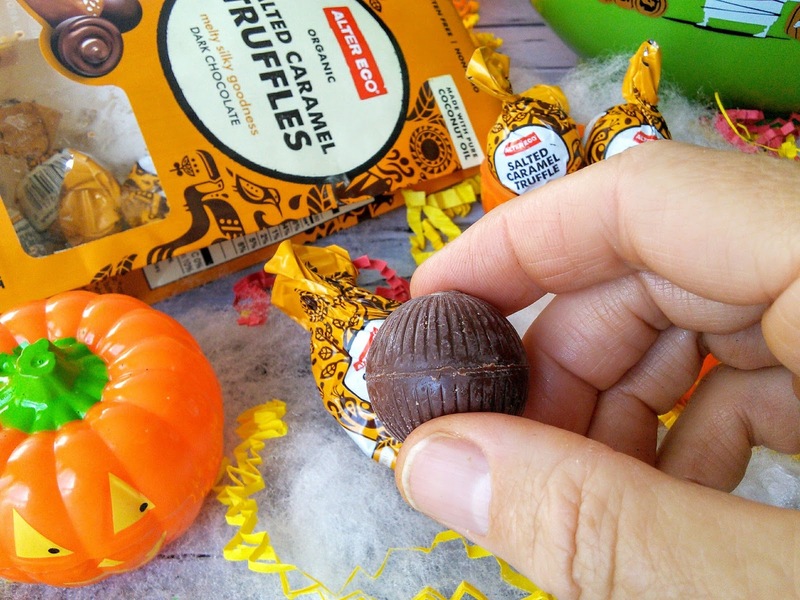 What a cool twist on the traditional Halloween candy variety. I've taken my grand kids out trick or treating, and rarely do I see anything good for them in their buckets. I think this is such a good idea. Kids can do with some healthier options that don't look healthy! They have far too much sugar at this time of the year! I did not realize Enjoy Life had so many great products. I need to grab some of their Halloween Minis for my nephew. He has a nut allergy and I am always looking for treat he can have. These sound like amazing products and much better alternatives to high fructose corn syrup laden chocolates!!! Wish I could try! 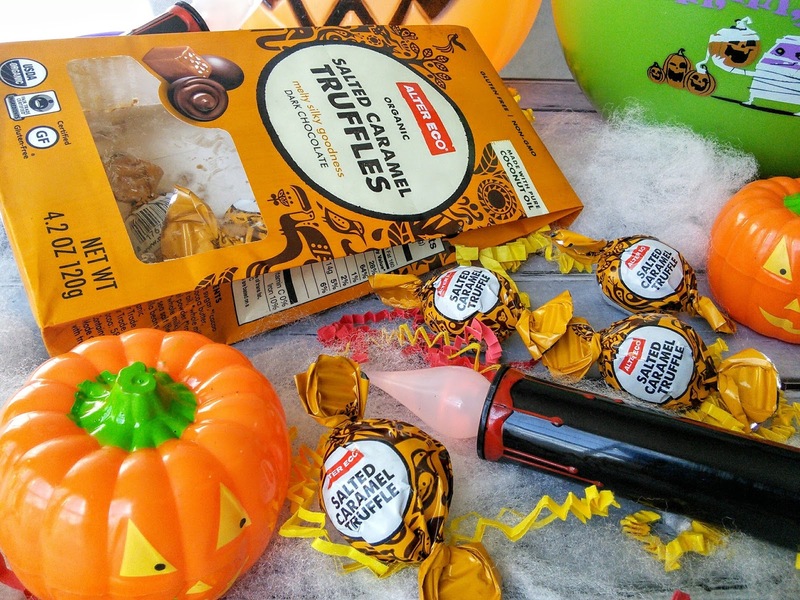 These are all great Halloween candy ideas. 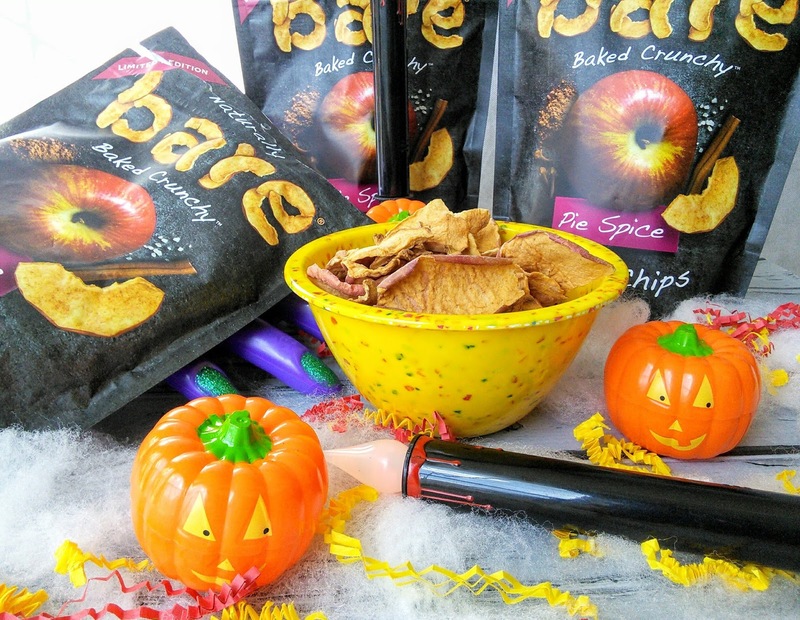 I would love to try the Bare Pie Spice Apple Chips. They would be great to add to my lunch box. Wow.. that's a good idea! It is nice to keep on healthy while happy! I love these healthy suggestions Little Rebellions snacks are one of my favorite right now. Loving the bean chips. Ooh the truffles sound pretty good. I absolutely love pop corners. Great choices! I am always happy to learn about Halloween treats that are healthier. We have gluten free snacks I think I may give out this year. Such great ideas for Halloween. We're always trying different ways to please our trick-or-treaters. Wow it is very enjoyabke being a kid during Halloween, coz you have to enjoy many treats! This is a good treat ideas. 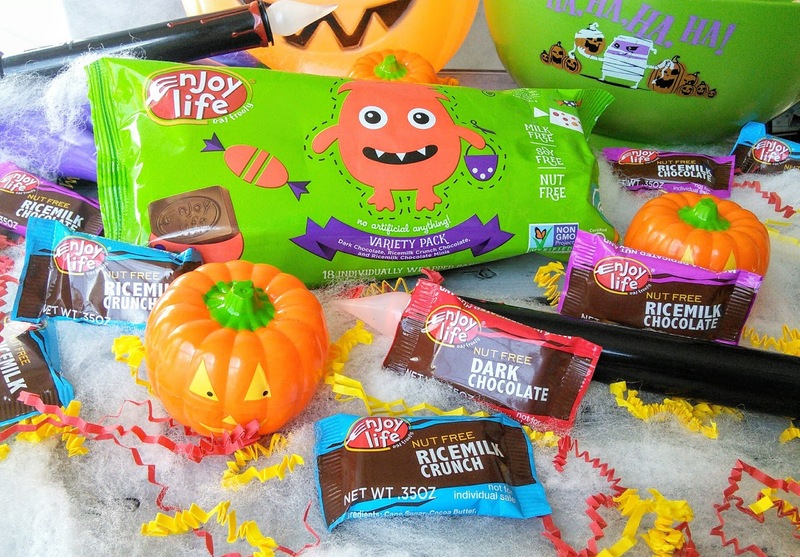 Halloween treats that are good for you are perfect! I definitely need to get some of these. I love when treats are shared that are not your typical. I am going to look into these.